To give you some perspective these flowers are in a pot 3 feet tall and 2 feet wide. They give the space some color while the pot holds back the soil in a planted bed. A high shelf inside holds a layer of stones. This was a fun project for Tom and Debbie! Thank you. 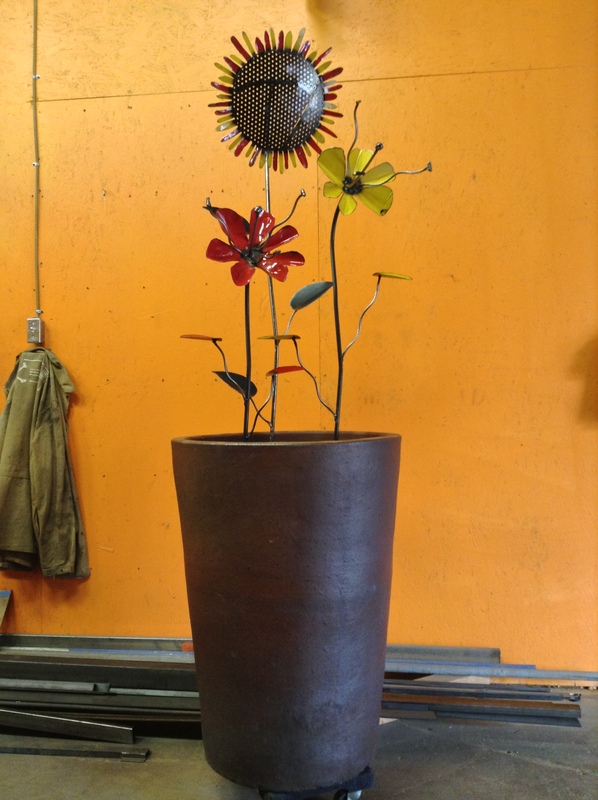 Categories: client photos of work, commission | Tags: color, flowers, red, scrap steel, sunflower | Permalink. I really enjoy finding the right color scrap metal to use in my work. This was a perfect find to make the yellow petals for this sunflower. This paint will retain its color outdoors a lot longer since it’s a baked-on industrial finish. 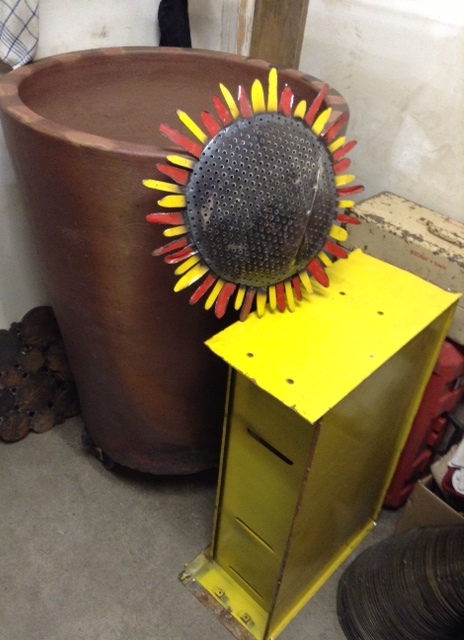 Categories: commission, new work, work in progress | Tags: color, industrial remnants, scrap steel, sunflower | Permalink.